PHOTO A: Draw a cutting diagram on the piywood sheet to iay out the project parts. Mark each part with a ietter that corresponds to the Cutting list on page 272 to heip identify them. Ciamp a straightedge in piace to guide the saw as you cut the parts to size. ©Refer to the Cutting List on page 272 to lay out the project parts on the plywood sheet. 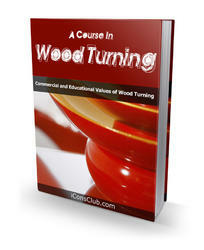 Creating a cutting diagram now will economize your cutting and help to minimize waste. Mark each project part with the letter that corresponds to the Cutting List, to help you identify the parts once they're cut. 0 Cut the parts to size. Support the plywood on sawhorses while you cut out the parts with a circular saw. 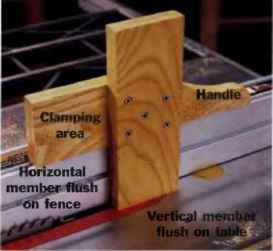 Guide your cuts with a straightedge clamped to the plywood so the saw follows the layout lines accurately. 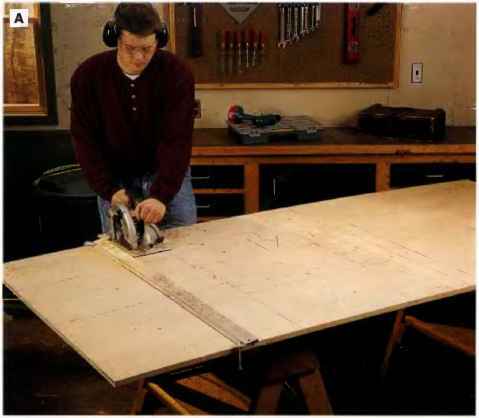 Make the longest cuts first to break the plywood sheet into more manageable portions (See Photo A).